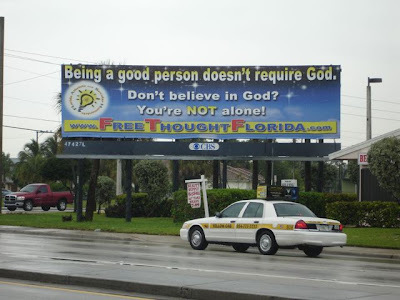 This is the start of a campaign to counter the negative image portrayed of "non-believers". Many people would be surprised to find out that some of the nicest, most honest people they know are secretly atheist, and agnostic. One in 6 Americans claims no religious affiliation. That number would most likely increase if it were not for family and social pressures. Anyone wanting to know more about the group can reach them at Browardatheists@mac.com.